I haven’t finished this project, but was so excited I thought I’d give you a preview. 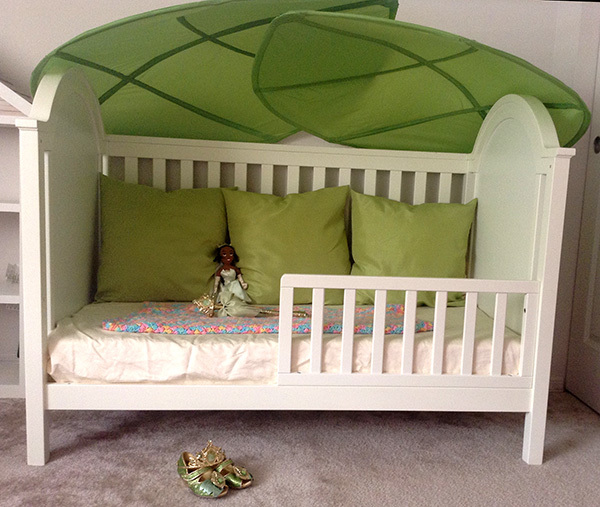 To start, Miss V has her own big-girl converted toddler bed. It’s been a major challenge to get her to stay in it. After 3 nights of no sleep, I was desperate to come up with a solution. Then my Dad suggested making it a place she would want to stay in. Hmm… Miss V loves Princess Tiana from Princess and the Frog. So, I set out to Ikea. Normally, I’d analyze sales, look at all options available, and research my heart out before making a purchase. But, today I was delirious, and so was my credit card! 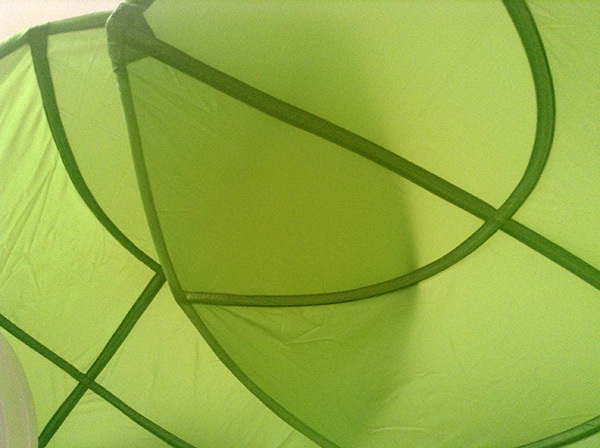 Ikea has these great bed canopy leaves, perfect for a Princess and the Frog theme, or even Tinker Bell. 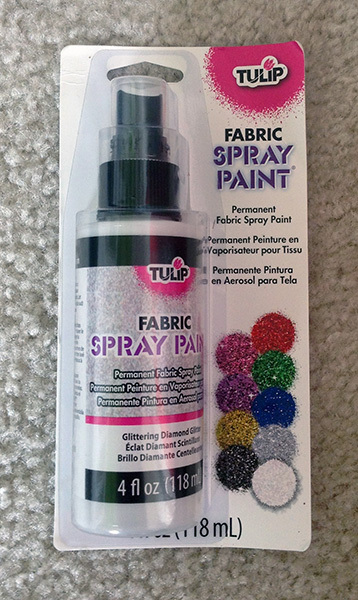 I also found this rug, which would have matched and given a “grassy” feel but decided not to purchase at last second. Maybe I’ll still get it it, I haven’t decided. I still need to mount the leaves and do the glitter spray. 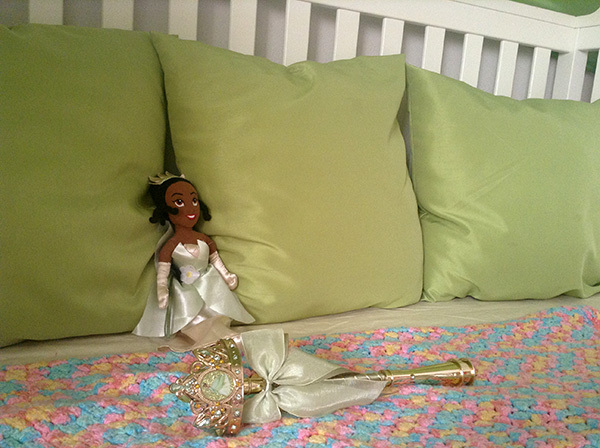 I might even Ebay a Princess Tiana crib sheet. And feel comfortable in her new converted toddler bed. The last two nights have resulted in much more sleep, and I’ll keep you updated as the room comes together!